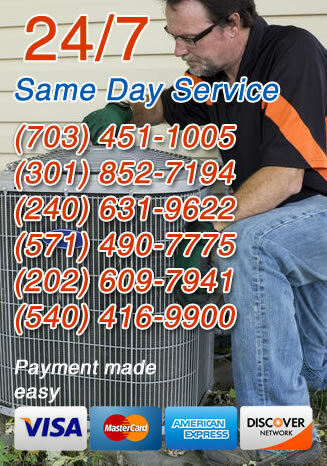 Service Doctors offers both tankless and traditional tank hot water heaters to customers in Prince William County, VA. Whether you’re looking for the cheaper upfront costs of a traditional tank water heater because your hot water needs are limited, or you’d like to experience the ongoing energy savings provided by efficient tankless systems, we have you covered. We also have the expertise to assess your individual situation, make specific recommendations and complete the water heater installation. Tankless water heaters are a newer, much more efficient way to heat the water in your home. Some people call them “on–demand” water heaters because that’s exactly how they provide the hot water — on demand. There is no energy wasted keeping the water inside an old tank warm for use whenever it’s needed. Instead tankless systems flash heat the water instantly whenever it’s needed. Tankless hot water heaters generally cost more upfront, but the efficiency of these systems will lead to significant energy savings over time, which means more money in your wallet each month. While the trend in Prince William County, VA is toward tankless systems, we have found that traditional tank hot water heaters can still be a good option in certain circumstances. Whether you’re just old fashioned or simply feel that a tank water heater is a better choice because it offers lower installation costs and easily meets your needs, Service Doctors has the system for you. Due to the lower upfront costs, if your hot water needs are limited, you should consider a tank water heater. Even when you go this route, it’s important to keep in mind how much hot water is used in your home, because there are different sized tanks. A larger tank obviously has more water to heat and will require more energy, while a smaller tank will run out of that precious hot water more quickly, possibly when you need it most.